A total of 135 students were honored for their hard work and rewarded with a certificate of recognition, a tablet-notebook and various other prizes. The Noble Qur’an says “Recite in the name of your Lord who created. Created man from a clinging substance. 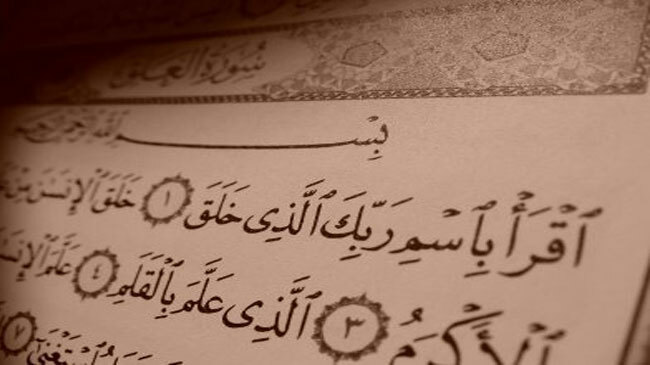 Recite, and your Lord is the most Generous – Who taught by the pen. Taught man (mankind) that which he knew not.“ (Surat Al-‘Alaq 96:1-5). Muslim also recite in the Holy Qur’an: “Oh my Lord, increase me in knowledge.” (Surat Taha 20:114). The worldwide-known non-governmental humanitarian organisation “Human Appeal International Australia” hosted its 9th Annual Year of the 12 Muslim Achievement Awards in Sydney, Melbourne and Adelaide between and 19th and the 20th of this month. Students who achieved an Australian Tertiary Admission Rank (ATAR) score of 90% or above in 2015 were encouraged to register for the awards. Various respected members of the Muslim community in Australia; leaders, politicians and businesses attended ceremonies in the three cities, acknowledging the amazing efforts of these high achieving students. A total of 135 students, about 29 more than last year, were honored for their hard work and rewarded with a certificate of recognition, a tablet-notebook and various other prizes. The ceremony in Sydney acknowledged a total of 67 students, with Omar Al-Jamal as the master of ceremonies on the night. Attendees included New South Wales Shadow Minister for Education Jihad Dib MP, Shadow Minister for Multiculturalism Sophie Cotsis MLC, Deputy Mayor of Canterbury Councillor Khodr Saleh, and other distinguished guests. The Grand Mufti of Australia, Dr. Ibrahim Abu Mohammed and New South Wales Minister for Education, Adrian Piccoli MP both extended their apologies. The night opened with a Qur’anic recitation by award recipient, Riad Naanai, followed by the translation read out by another recipient Aishah Ali. Human Appeal’s director, Bashar Al-Jamal welcomed guests and explained why investing in education is an important strategy to enhancing the sustainability and growth of communities. Islamic Shari’ah gives a very high regard to education and knowledge. A truly Islamic government is required to the best of its ability to provide all means that promote adequate education for its citizens. Islam considers education as a right for all individuals and a required moral duty of every capable Muslim. All able, intelligent and skilled individuals in an Islamic society are required to educate themselves not only in the basics of their religion but in necessary worldly affairs. Further, it is obligatory upon qualified people to study every beneficial field of knowledge. That’s why such an event and encouraging Muslim kids for their educational achievements is an extremely valuable action. Various speeches were given in the event by Jihad Dib MP, Sophie Cotsis MLC, Dr. Zachariah Matthews from Deen Academy, Mona Abdel-Fattah from the Australian International Academy and Dr. Belal Aly, a sponsor from Berala Dental Clinic. The Sounds of Light 2016 Talent Quest winner, 11-year-old Jamal El-Sankari, performed a nasheed at the award ceremony. Visiting scholar Dr. Abdullah Aljohani from Madinah University also conveyed his congratulations to the students and their families. Students were presented their certificates and gifts by local sponsors. Award recipients Mashaal Hamayun and Omar Elrich both spoke about their achievements and the dedicated focus that it required. Muhammad Elhajje, a current student at the University of Sydney gave a brief speech about his participation in Human Appeal’s 2016 Aspiring Leaders Umrah Tour which included helping to distribute much needed aid to Syrian refugees in Jordan. In Melbourne, the event acknowledged 61 students. The ceremony was MC’d by Noor Abou-Zeid and opened with Qur’anic recitation by Abdul Rahman Malas. In attendance were federal member for Wills Kelvin Thomson MP, Moreland Mayor Samantha Ratnam, Labor candidate Peter Khalil and other dignitaries. Sheikh Rabih Baytie, Human Appeal’s Melbourne branch manager welcomed guests and spoke about the importance of education and giving back to the community. Other speakers included Dr Aladin Zayegh from MCCA, Bayram Aktepe from the Islamic Council of Victoria and Umar Batchelor from BAILP. These speeches follows the teachings of the Messenger of Allah, Prophet Muhammad (PBUH) who told Muslims in his prophetic hadith: “Seek knowledge from the cradle to the grave.” Thus encouraging lifelong learning. He also said “Seek knowledge even though it be in China.“ Encouraging the believer to seek knowledge from wherever it may be from Muslims or non-Muslims even if you have to travel a great distance to acquire that knowledge. Muhammad (SAW) also said that “The ink of the scholar is more sacred than the blood of the martyr“ and “God has revealed to me, ‘Whoever walks in the pursuit of knowledge I facilitate for him the way to heaven.’ as well as “The best form of worship is the pursuit of knowledge.” All of these are indicative of a religion that places knowledge and education as extremely important part of worship and life in general. At Melbourne’s event, a number of videos were shown including one which featured the Australian Football League (AFL) player Bachar Houli and his role in inspiring and motivating students. Students were similarly awarded their certificates and gifts by local sponsors. Award recipients Alisha Rawal and Yusuf Hassan both delivered eloquent speeches about achievement and the importance of continuing education life-long. In Adelaide, seven students were likewise awarded certificates and gifts sponsored by local sponsors. Branch manager of Human Appeal’s Adelaide office, Ali Kadir MC’d the event. The ceremony was opened with the recitation of the Noble Qur’an by university student and Umrah participant, Abdul Salam Hamid. Annabel Digance, representing the Premier of South Australia Jay Weatherill spoke on the night as well as Imam Ensar Cutahija from the Adelaide City Mosque. Sounds of Light Adelaide 2015 nasheed artist Izzat Mehedi sang a song which he wrote specifically for the event. Abdel Rahman Bassal, senior manager with SA Digital Telehealth Network spoke about the importance of coupling religious knowledge with academic knowledge in order to help change the world for the better. Shihab Siddiquee, founder of Sace Simplified, spoke and encouraged the schools and students present to get behind his program which helps students through the confusion and prepares them for life after year 12. University of South Australia student, Abdul Salam Hamid reflected on his participation of the 2016 Aspiring Leaders Umrah Tour. When is Jumada Al-Thani’s Crescent?